Today, the A' Design Award and Competition is proud to announce its 2018 call for entries to the A' Advertising, Marketing and Communication Design Awards. The advertising companies, marketing companies, creative directors, consultancy companies, communication designers, creative agencies and advertising agencies all around the World, are welcome to participate with the outstanding realised design projects. Advertising, marketing and communication designs by advertising companies, marketing companies, creative directors, consultancy companies, communication designers, creative agencies and advertising agencies worldwide that were developed within the last 10 years are eligible to be nominated. The A' Advertising, Marketing and Communication Design Award is not a simple competition but an indicator of quality and perfection in design, the award is renowned worldwide and brings the attention of design oriented companies, professionals and interest designers. Every year a great amount of submissions has been assessed by a panel of international juries in order to differentiate and promote the design projects with an excellence in design within advertising, marketing and communication design industry. Late deadline for entries to the A' Advertising, Marketing and Communication Design Award is on February 28, 2018. Results of the competition will be released on April 15, 2018. 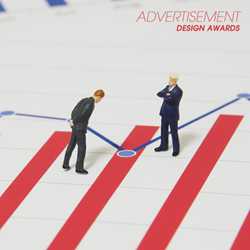 Interested designers, companies and brands could register and submit their advertising, marketing and communication works at https://competition.adesignaward.com where further information regarding the A' Design Award and Competition such as assessment criteria, dates and fees, list of jury members, entry forms and presentation guidelines could also be obtained. Laureates of the A' Advertising, Marketing and Communication Design Awards will be honoured A' Design Prize which includes a series of PR, marketing and publicity tools presented together with a design excellence certificate and trophy, lifetime license to use the A' Advertising, Marketing and Communication Design Awards winner logo, inclusion in a yearbook of best designs, exhibitions of awarded projects and exclusive invitation to the A' Advertising Award Winners’ Ceremony (Gala-Night) in Como Lake, Italy.